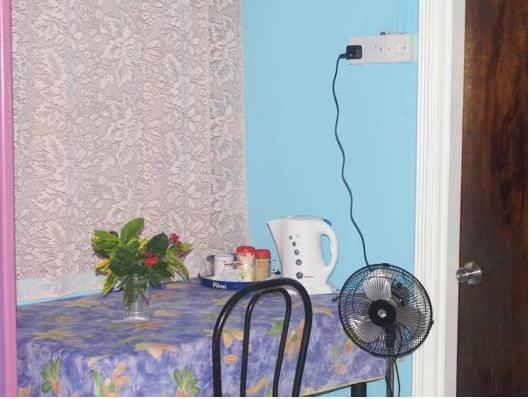 ﻿ Best Price on Somewhere Special Guesthouse in Gros Islet + Reviews! Featuring a furnished terrace surrounded by the garden, stunning Caribbean Sea views and free Wi-Fi in all rooms, the Somewhere Special Guest house is located 197 feet from the Rodney Bay Beach. The rooms feature simple décor and are equipped with a TV, a fan, coffee maker and a private bathroom with bath or shower. BBQ facilities are available. The on-site restaurant offers local food and bar service. You can also find a variety of international restaurants within 328 feet. Guests can arrange activities at the Beausejour Tennis Courts, 2.2 mi away, and enjoy street parties every Friday at Gros Islet. This property is 1 mi from the Pigeon Island Park and 15 minutes’ drive from George F.L. Charles Airport. Hewanorra International Airport is a 90-minute drive away.